TEN Eyewitness News First At Five is a TV show on Australian national television from One with an average rating of 3.4 stars by TVCatchUpAustralia.com's visitors. We have 2,813 episodes of TEN Eyewitness News First At Five in our archive. 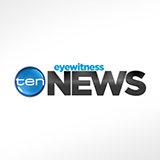 The first episode of TEN Eyewitness News First At Five was broadcast in October, 2018. Did you miss an episode of TEN Eyewitness News First At Five but don't you wan't that to happen in the future? Please set an alarm and add TEN Eyewitness News First At Five to your favourites, so we can remind you by email when there's a new episode available to watch. Completely free: handy! Comprehensive coverage of local, national and overseas news presented by Narelda Jacobs. Includes sport presented by Tim Gossage and the latest weather from Michael Schultz. Comprehensive coverage of local, national and overseas news presented by Georgina Lewis. Includes sport presented by Jonathan Williams and the latest weather from Josh Holt. Comprehensive coverage of local, national and overseas news presented by Rebecca Morse. Includes sport presented by Nick Butler and the latest weather from Kate Freebairn. Comprehensive coverage of local, national and internnational news presented by Jennifer Keyte; includiing sport presented by Stephen Quartermain and the latest weather from Mike Larkan. Comprehensive coverage of local, national and overseas news presented by Sandra Sully. Includes sport presented by Matt Burke and the latest weather from Tim Bailey. 10 News FirstCatch up on 10 News First and watch online. 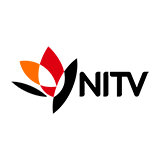 Find the latest episodes of 10 News First, broadcast by One. Csi: MiamiCatch up on Csi: Miami and watch online. Find the latest episodes of Csi: Miami, broadcast by One. The MentalistCatch up TV on The Mentalist. Watch the latest and all other episodes of The Mentalist now online, broadcasted on Channel 9. Catch up on your favorite Channel 9 TV show: The Mentalist. The DoctorsCatch up on The Doctors and watch online. 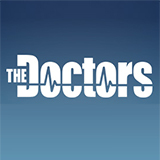 Find the latest episodes of The Doctors, broadcast by One.